The Annual Symposium of the Department of Agriculture took place on the 6th of September at the Auditorium of the Plant Genetic Resources Centre in Peradeniya. A platform for public discussion and debate around recent agricultural research, the symposium works to promote the quick and efficient transfer of technology among potential users. 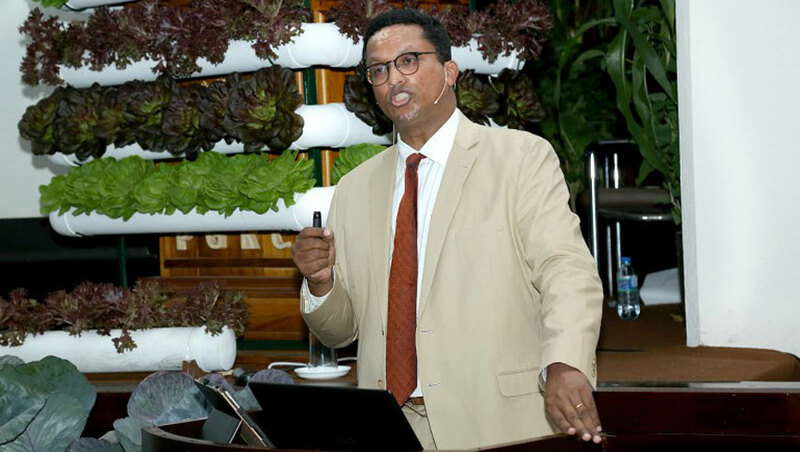 CEO of Dilmah Ceylon Tea PLC, Dilhan C. Fernando, spoke at this year’s symposium focusing on the importance of agriculture in securing sustainable, future-proof, climate resilient human, ecological and economic development. In an age of growing transparency, consumer engagement and new patterns of consumer demand, the ethical consumer whose tastes are informed by fairness and morality is increasing in importance. Where cost and quantity once drove demand, authenticity, purity and provenance now reign. Sri Lanka is in a unique place to take advantage of this change as what nature has endowed on our farmers is quality. The term terroir is used to describe the host of environmental conditions that influence the flavour and aroma of a particular wine, including the climate, soil and sunlight that give wine grapes their distinctive character. Similarly, Sri Lanka’s terroir makes our cashew, cinnamon, pepper, spices and tea, among other products, truly superior to any other country’s both in complexity and taste. Take for example Ceylon Tea which continues to command the highest price at tea auctions worldwide, $4.21 per kilo, compared to an average auction price of $2.81 per kilo of tea. We cannot and should not compete with high efficiency, cost cutting farming. 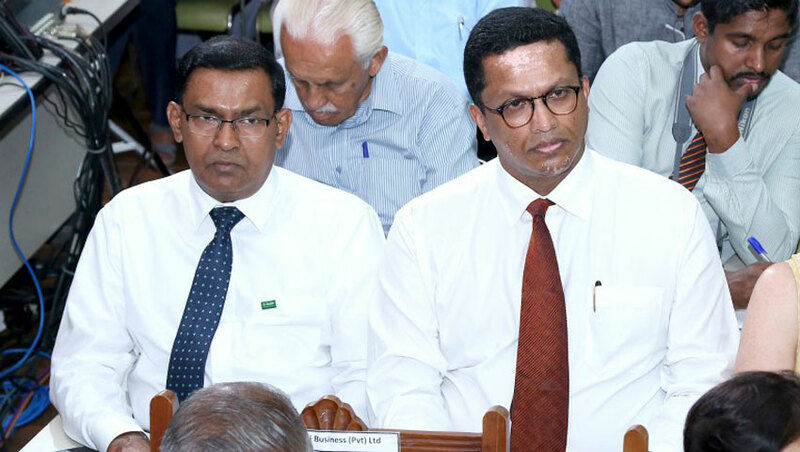 High output should not be the objective as Sri Lanka’s competitive advantage lies not in quantity but in quality and our relevance is in the premium segment of agricultural produce. With the world now looking for artisanal produce with a story, we must build brands around farmers who are empowered to produce high-end, value added products that have been marketed to fit the lifestyles and wants of a modern, ethical consumer. Sales of ethically labelled food and beverages in 2016 indicate that the majority of consumers spend on labels centred around environmental causes, followed by spending in the areas of wellbeing and animal welfare. As Emmanuel Faber, Chief Executive of Danone aptly puts it, consumers want “committed brands with authentic products. Natural, simpler, more local and if possible small, as small as you can.” Aligning the existing market to these trends will transform the agricultural sector, securing incomes for primary producers, strengthening the rural economy and ultimately leading to the realisation of more holistic development objectives as well as building resilience to climate change. However, in a global system that is founded on exploitation and injustice, value addition by the primary producer is a monumental task. Looking at the chocolate industry, global sales of chocolate in 2016 amounted to a staggering $98.2 billion, however cocoa farmers only received 6.6% of the value of one tonne of cocoa. Furthermore, none of the major cocoa-producing countries such as the Ivory Coast and Ghana are actually chocolate manufacturers themselves, with 63% of world chocolate production originating in Western Europe and USA. The same was seen in Sri Lanka’s tea industry in the 1950s as Ceylonese traders, influenced by the remains of colonial mentality, believed that Sri Lanka could not add value or compete with the English or any other country. 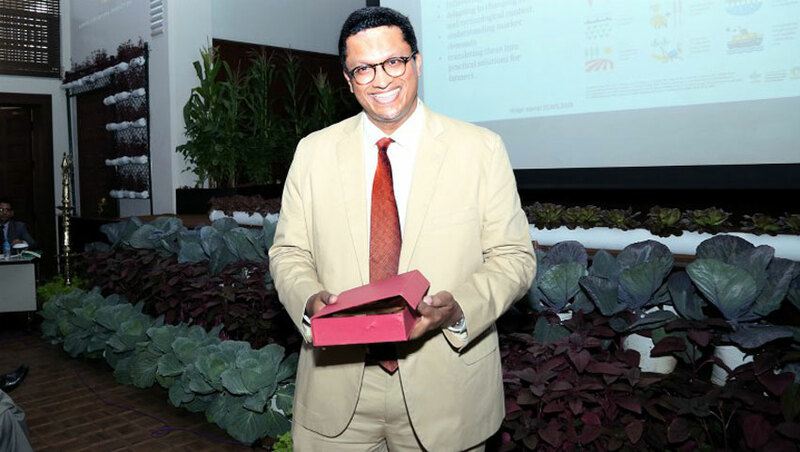 When founding Dilmah Ceylon Tea Company PLC, Merrill J. Fernando faced and ultimately overcame these attitudes, with Dilmah Tea having championed quality, authenticity and variety in tea for the last 30 years. For Sri Lanka to overcome the obstacles of a primary producer and deliver an agriculture revolution, there needs to be a shift in attitude. As the intersection between the farmer and the consumer, agricultural scientists have a crucial role to play in this shift. Forums such as the Agricultural Symposium of the Department of Agriculture are vital in adapting to changing social and technological contexts to understand and translate market demand into practical solutions for farmers. Adding value to Sri Lankan produce means building brands that harness the marketing potential of traditional knowledge, ancient heritage, ayurvedic and culinary traditions and agricultural institutions. Nation and produce branding are vital to our future if Sri Lanka is to understand the potential of its natural bounty and position itself as a producer which values quality over quantity. Ethical Tea Society, No. 111 Negombo Road, Peliyagoda, Sri Lanka.